We all think of King David as a man after God’s heart, but did you know his career started with lies, deceit, rage, and compromise? The volatile young man who fled Saul into the desert was not yet a man after God’s heart, but in three years on the run God prepared him to reign like no other. Join the ride through David’s thrilling wilderness journey to undergo a crash course in leadership preparation. 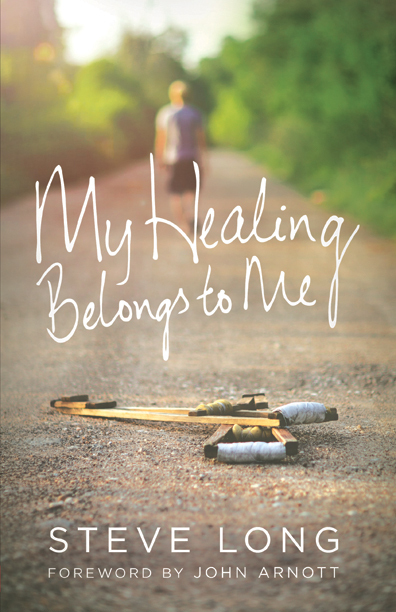 My Healing Belongs to Me is a simple, practical guide to receiving healing and ministering healing to others! Packed with clear Biblical truth, it contains a lifetime of exciting stories of God healing everything from leprosy to death itself. Steve Long presents all that the Bible has to say about healing, to provide the most effective tools for ministering to the sick. In Consumed By Love, Duncan tells the story of his journey into discovering the God of Love who in Christ became one with all of humanity. This priceless act of love holds the key to each of us living an extraordinary life on earth that only God can live, accessing His infinite riches and supernatural power and giving it away to the world.